Lisa’s Booby Trap’s first foal was shown 65 times at the Fasig-Tipton sale. It’s been seven years since Lisa’s Booby Trap came from Finger Lakes and scored an underdog victory in the Loudonville Stakes at Saratoga, but her name was still heard Saturday when her first foal, a Big Brown colt, sold to SGV Thoroughbreds for $135,000 at the Fasig-Tipton New York-bred yearling sale. Lisa’s Booby Trap earned a cult following for succeeding in spite of her humble beginnings – she’s blind in one eye and has a club foot – and those same factors create another uphill battle when it comes to marketing her foals. 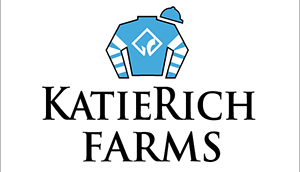 That challenge has been taken by Mark Hubley, president of KatieRich Farms, which bought Lisa’s Booby Trap in summer 2015 following the death of Tim Snyder, the massive mare’s longtime owner and trainer. She resides on the KatieRich property in Midway, Ky.
Hubley and Snyder’s friendship reached back to their time at Finger Lakes in the 1980s. When Lisa’s Booby Trap was reaching the end of her ontrack career, Hubley contacted the trainer to discuss breeding plans, such as potentially entering a foal-share agreement to send the mare to higher-quality stallions, or consigning her at auction. However, they never came together on a deal. After Snyder’s death in March 2015, Hubley was contacted about buying the mare with the Big Brown colt that sold Saturday in-utero. Though he was her first foal, it was the second year of her broodmare career after a visit to Disco Rico failed to produce a foal the previous season. Hubley said the Big Brown colt was shown about 65 times Friday, the auction’s first full day for inspections. Steven Venosa of SGV Thoroughbreds said the colt would eventually be trained by New York-based George Weaver. While he was well aware of the mare’s story, Venosa said the colt sold himself.